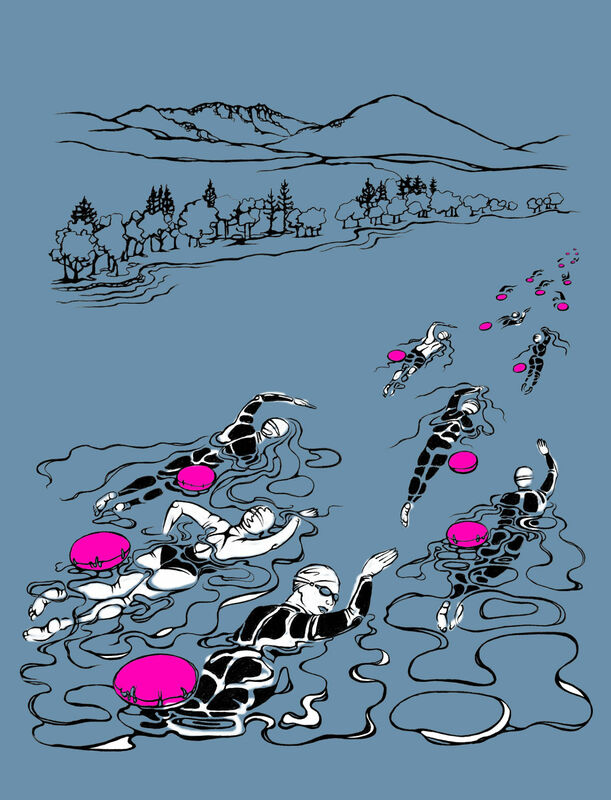 I was asked by Chillswim to design the image for their t-shirts for the Coniston end-to-end swim, which I also took part in. It includes a view down the lake at the same time as Coniston Old Man in the distance, which cannot be seen quite like this from any angle in real life. I also had to bend perspective with regard to the swimmers, or you wouldn’t have seen much but heads and arms. An impossible scene to photograph, made possible as an artwork.